With the weather warming up in Naperville, it’s a great time to spend more time outside. In fact, many homeowners love to extend their living space from their indoor area to their outdoor space. This is easy with a patio or deck, but one thing that makes it even easier is the use of a patio door. 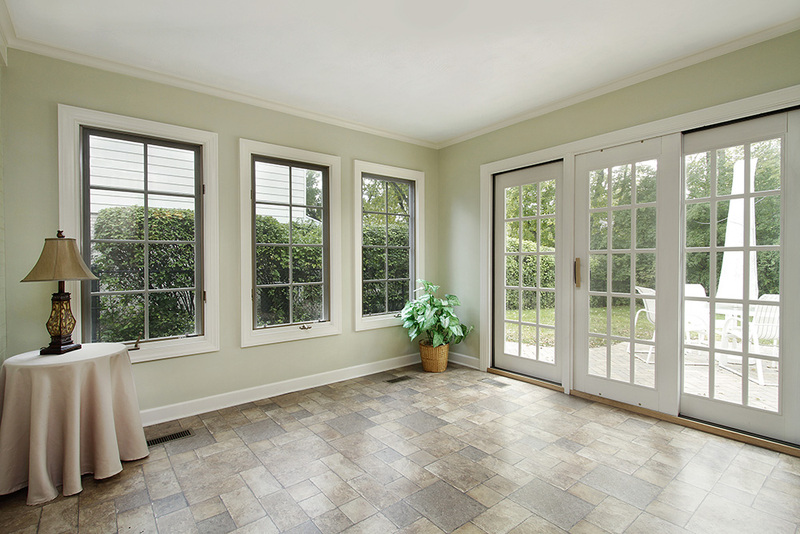 On a warm, sunny day, a great patio door can help to shed natural light on the room closest to the patio. This is not only energy efficient, allowing you to light the room with the light from outside, but creates a bright, cheerful look in the room. Natural light has been shown to give homeowners energy during the day and help them sleep better at night. Your patio door can also show you the view of your outdoor space. You can watch your kids as they play outside, and you might even feel enticed to play outside yourself. Maybe you’re working or cleaning inside, but you want to let in some fresh air while you’re at it. Patio doors offer an easy way to ventilate the room with fresh air so you can stay energized. Just crack the door open and let the air breeze in, and close them again when you’re finished. It’s more convenient than cracking open the front door, because your patio door is often located in a living area of the home, rather than the threshold. Patio doors are at the perfect intersection between your outdoor and indoor living space. On one side is your living room, on the other your deck or patio. This makes it much easier for you to blend your living spaces together and move from one to the other. You can sit outside and watch the sun set and then return inside to watch your favorite TV show or play a game with your family. A patio door is also an excellent entertainment access. Even if you have to step inside to prepare things for the party outside, you’ll never be far away. When you open the patio door, the party’s space is doubled. “Indoor outdoor living” is in this year, and especially this season. To help make yours easier with patio doors, contact The Door Store today.